If you are planning for a vacation this season, then surely don’t forget to carry your own road trip Itinerary to help you keep track of all information you need. Refresh yourself with thrilling joy and excitement with the touch of happiness this summer. Here are list of few road trip itinerary templates that you might want to check before you leave:- If this is your first road trip and you are at a loss on how to create a proper road trip itinerary, opt for a Road trip itinerary template. Such kinds of road trip itinerary templates contain name of the traveler, date and purpose of travelling along with mode of transportation and name of the travel companion. They further carry details of vehicle to be used for transportation which consists of vehicle number, license number, model and color of it along with the name of maker for further assistance. These templates also provide information about the place for accommodation along with the person you have been assigned to meet. Such templates carry all the specified information about the destinations you want to go. With details of the event, sponsors and travel time further makes them informative and exclusive. 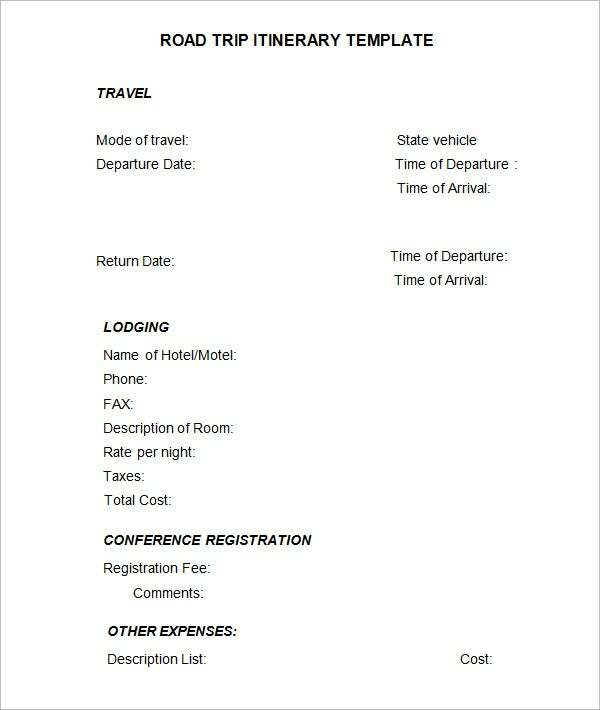 They also contain the hotel and commodity details for future references. And also contains the personal details like phone number and name of the travelers in case of any emergency, making it ideally suitable for school and college trip. These templates carry details about departure and return date along with specified time for convenience of the traveler. They also provide information about the lodging facility that has been allotted to the traveler that contains name, phone number and fax number of the hotel. Further these types of templates give an idea about the description of room, per night charges along with tax and hence providing the total cost. Such road trip itinerary templates provide camping details which includes traveler’s name, destination, distance of travel along with reservations and total expenses. This ensures that a person is well aware of the expenses that will occur on the trip, providing the traveler adequate time for making necessary money arrangement. They also give detailed picture of the campground information that constitute about all the activities that can be done on the trip. 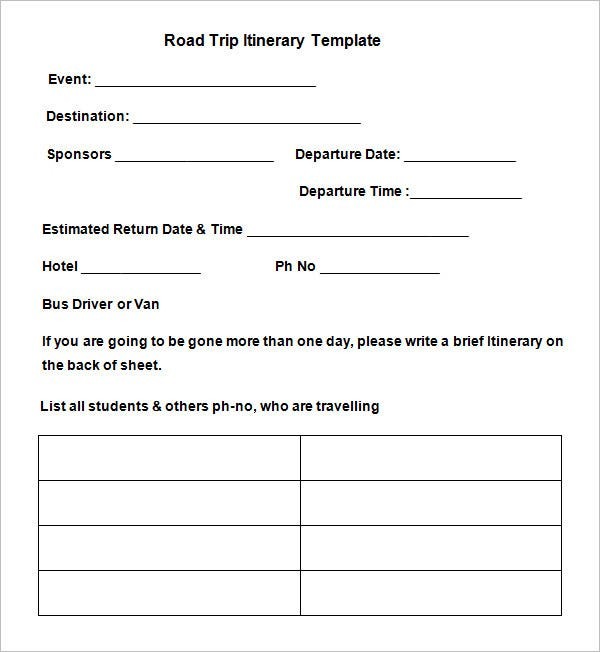 What is Road Trip Itinerary Template? 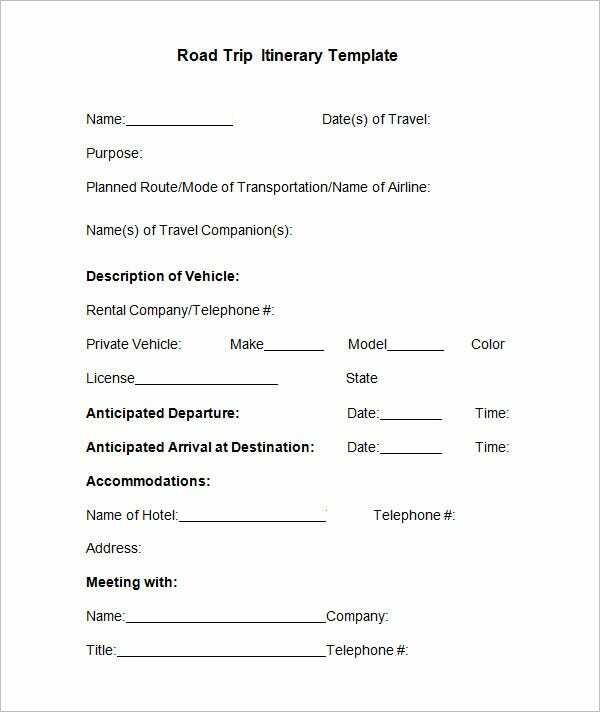 These road trip itinerary templates are designed specifically for the convenience of the traveler. With all the travel details present in it further makes it informative without letting the person miss on any minute details. Designed for making the travel experience easy these beautifully crafted templates ensures that the traveler enjoys to the fullest. Further with all the details about accommodation, transport vehicle and other related information ensures not only safety but also further proof of the travel for future references. How to make Road Trip Itinerary Template? Provide details of your journey by specifying journey date and time. 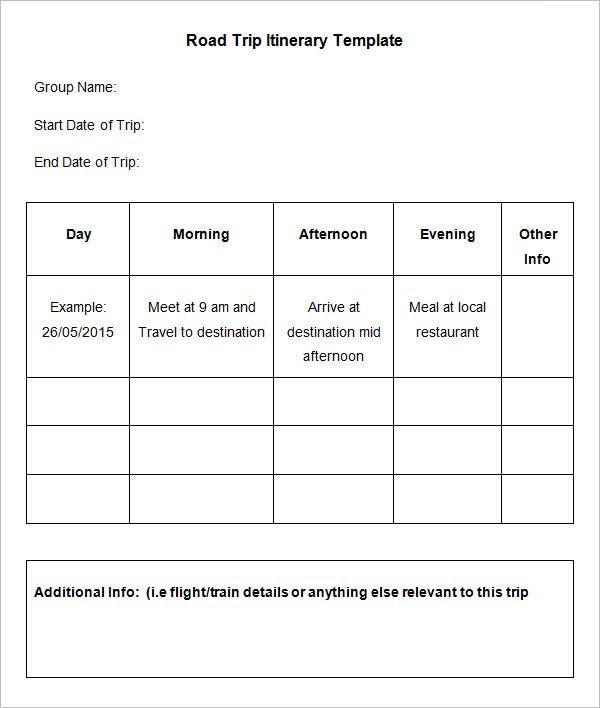 These Itinerary templates come up with best design and pre-prepared structure that features all the necessary points like best route, optional routes, destination city, etc which are to be filled up with your suitable data. 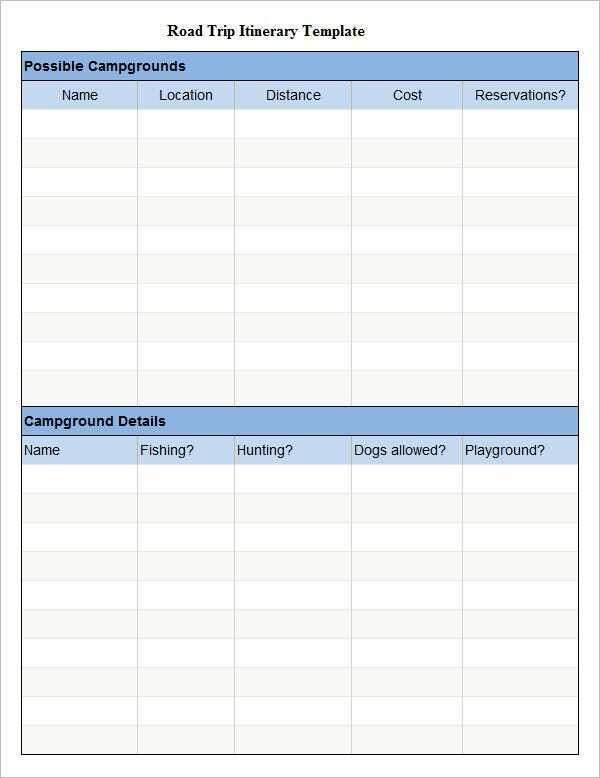 These templates are designed to help the travelers for planning their vacation. Keeping a checklist of all the activities that can be encountered on the trip help to make the trip more convinient for the traveler. 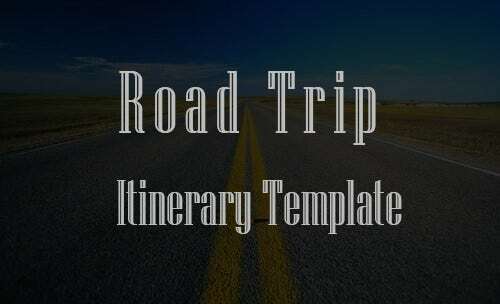 We have collected some sample Road Trip Itinerary Templates, hope these templates will help you.